See all those perfectly uniform skinny little locs? And here's me at 13 months having abandoned braiding and banding. I felt my hair looked too thin/flat and I wanted to have BIG hair instead so I deliberately stopped to see what would happen... (my original consultant was FURIOUS when she saw... no sir, she was not at all happy with how I had 'ruined her good work' lol). Anyway - I am digressing. I am going to show you in pictures to see if I can ram the point home. If you are a newbie then you MUST braid and band, I know it adds a few extra minutes to your washing routine but it is VERY important. This is one of my clients just after installation (and I mean within 10 minutes of me finishing the last loc). 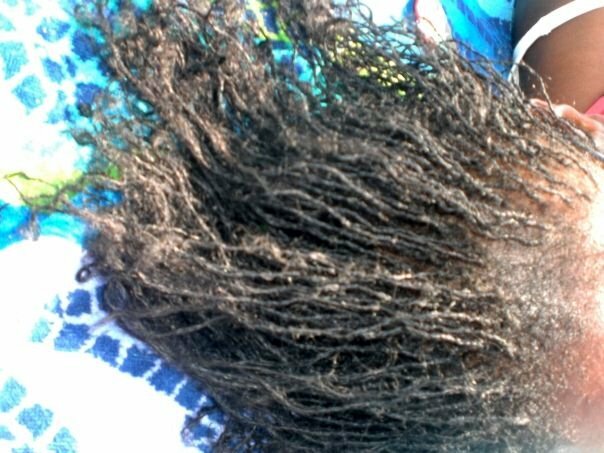 And this is a picture of the same client approx 6 weeks later (having missed an earlier appointment, gone swimming at least twice a week every week and washed about twice a week every week without consistent braiding and banding). This requires a partial installation and lots of remedial work for the locs that were actually left. Please. Don't do this to yourself... don't do this to your Consultant... it's not good. BRAID and BAND at EVERY WASH.
That would make me feel sick after doing all that work. 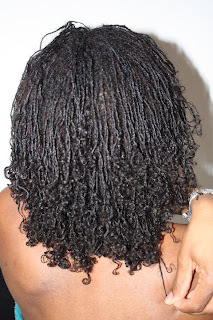 I have been braiding and banding consistently since the beginning 11 months ago. What's the point in getting Sisterlocks if you're not going to take care of them? I would love to stop braiding and banding. But my hair says no. I'm listening. Hey you, hope all is well! I braided and banded for a long time, and even after I was given the OK to stop, I noticed issues with stopping. I had bunching, unraveling etc the first few washes. 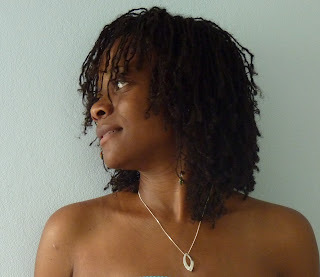 But now that my hair has matured, even more, I am loving the freedom of not braiding and banding. Try to remind your clients that the work will pay off in the end but we all know how impatient we can be. You have me scared straight up gal! I just washed my hair yesterday with knotty boy soap. Of course mi hair too short for a proper braid and band. I did gather and band! What do I do when I go to Barbados in October? I have to get in the ocean! I can`t go in the water banded!I guess I`ll be re tightening instead of vacationing!